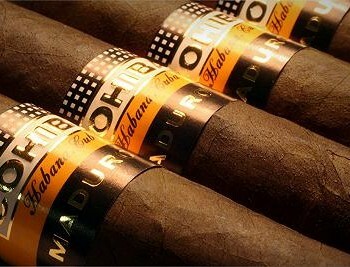 Cohiba Maduro 5 Genios | Old Morris Tobacconist Victoria BC, Fine Cigars, Humidores and Tobacco Merchantile. A genuine dark master. The Genios is cured in rich sultry oils and imbued with a smooth tantalizing construction, and like all Maduro 5's, encased in a wrapper that's been aged to perfection over the course of 5 years. Unlit scents of dark chocolate rule, with earthy undertones that follow suit. 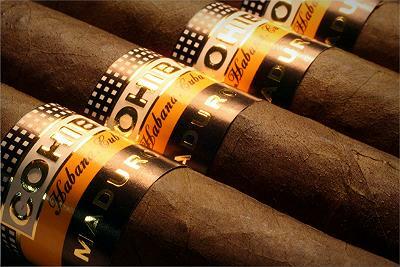 Light it up and bask in the blue-grey plume as you smoke through a jungle of creamy cocoa flavour.